A former France youth international whose speed makes him a natural winger, Valencia’s Sofiane Feghouli has usually been deployed centrally by Algeria since pledging his international allegiance to the country in 2011. Critics insist he should score more often but his many admirers point to the number of chances that he creates for team-mates thanks to an immaculate first touch, excellent passing and knack for producing the unpredictable. 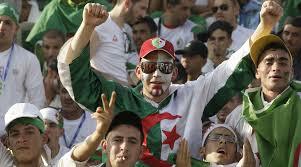 Manage to stifle him and opponents will have gone a long way to neutralising Algeria. Like a careless housekeeper, Hilal Soudani has been known to lose his rag: when he played for Guimarães in Portgual he was sent off for treading on the hand of an opponent, who got up and exacted revenge with a headbutt, and in this season’s Champions League the striker, who is now on the books of Dinamo Zagreb, was sent off against Austria Vienna for berating the referee from the substitute’s bench. Vahid Halilhodzic guided Ivory Coast to 2010 finals but was sacked four months before tournament. Wounded in 1992 Bosnian War so has sense of perspective about the manager’s lot. Meeting France, the country with which Algeria fought a ferocious war of independence, would be sure to arouse passions. The only meeting between the countries, a 2001 friendly in Paris, was abandoned owing to crowd trouble. Sorocaba is the eighth largest city in the state of São Paulo and was once known as “Manchester Paulista” because of the number of English-owned textile factories there. The country’s media have expressed concern about the state of the road serving the team’s residence, the Pitangueiras Farm Hotel, but if coaches can’t handle it there are always alternatives – it is a former horse ranch, and there is still a well-stocked stable. Plus, if there aren’t enough horses to go round, the squad may already contain a few donkeys. There are extreme sports available, including a zip wire and hot-air ballooning. Rock solid home form saw them top qualifying group with some ease, but only scraped through a play-off on away goals (3-3) against unfancied Burkina Faso. Beating West Germany 2-1 in Spain ’82… but eliminated by stitch-up when Germans and Austria signed non-aggression pact in final group game. Managing only a disappointing 0-0 draw against South Africa 2010 no-hopers England, in group stage. Proud tradition of existential goalkeepers, highly excitable and volatile fans, lots of blokes with similar names. Decent defensive unit, manager clear-out has got rid of coasting old timers, some talented forwards. For Algeria’s fourth finals they have set themselves the target of progressing beyond the group stages for the first time. Halilhodzic is partial to a 4-1-4-1 formation, even more so since the France-born Nabil Bentaleb declared for Algeria, with the Tottenham Hotspur player immediately entrusted with providing midfield protection for a brittle defence marshalled by the creaking Bougherra. Two rapid wingers and the more central Feghouli are the men most likely to create chances for Slimani. Full version can go on for a Frenchman-baiting five minutes and four seconds. 80 per cent of the country is covered by desert. This is their fourth World Cup appearance.